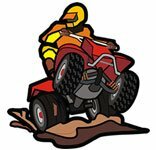 Theme: "Oldest/Outdated Looking Ride" with your ATV, 3 wheeler, or UTV." "Oldest/Outdated Looking Ride" is basically any ATV, 3 wheeler, or UTV that looks/is old or outdated. We want to see those old/outdated pics! Dig out your early quads or used quads you've bought that look old/outdated. Got an old quad from the 80's? Got an old pic of your first quad or trike? 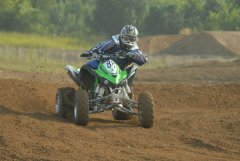 Is your current quad an old looking mess? Whip it out and post it up, maybe you'll win! 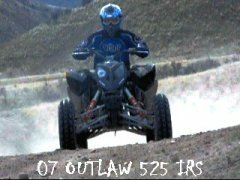 Rules: Submit your "Oldest/Outdated Looking Ride" with your ATV, 3 wheeler, or UTV." by entering it with a post, into this thread. (If you are not familiar with how to do this, visit the Learning Center) One photo per member allowed, so make sure it's a winner. You may submit photos that have not won past contests. Photos can be of yourself or taken by you. You may not submit photos that you do not have ownership of or permission to use. Any violation of these terms will result in disqualification. NOTE: You MUST have a minimum post count of 10 to enter into the contest! We would like to see participation in our forums from all members who enter the contest. Last day to enter a photo is March 27th. Voting will take place for the last 4 days of March to determine the winner. Voting will end March 31st and the winner will be announced! This was taken over a year ago and some of you have seen this pic. This is me and my daughter on an old Honda Trike. Don't even know what year this is. This is my 1980 something Yamaha Tri-moto 125, inherited it from my ex-brother-in-law along with a recliner. The trike and recliner have since been morphed into one comfy three wheeler. I am still trying to get a title for this thing since he didn't have it. I have had the #'s checked, and it isn't in WA DOT's system, but it is difficult to obtain any sort of papers on it. So I am making it un recognizable and will have it re-inspected so I can obtain proof of ownership. Anyways, here she is, before I cut it to pieces. I had to take that picture off of my TV.....Freaking thing was on VHS.....LMAO!!!! Is that a tube tv? Looks like it from the curviture....those are getting dated also. J/K...just got my first flat screen a few months ago. Got my 36 inch tube sitting on the floor, can't find anyone to take it. Here is a 80's Warrior. Trail ride with no saw and needed to get past this tree so we all made a ramp and jumped it. 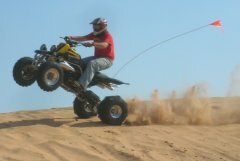 Is this a biggest piece of crap contest, or just an oldest ATV contest? 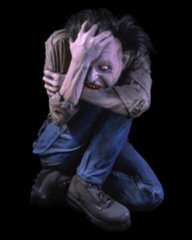 Dewarjs, I noticed that you have thanked the poster on every post in this thread. Was this contest your idea? The picture is fine. Take 2 shots of 44 ounce mixed drinks and be happy!!!!!!!!!!!!!!!!!!!!!!!!!!!!!!! I like you picture so much I will actually vote on this contest. Is this a biggest piece of crap contest, or just an oldest ATV contest? Whatever you feel looks the oldest and outdated. It's not a contest of who can post the oldest or outdated machine by date...but who can post a pic of a machine that looks the oldest and outdated, by member vote. 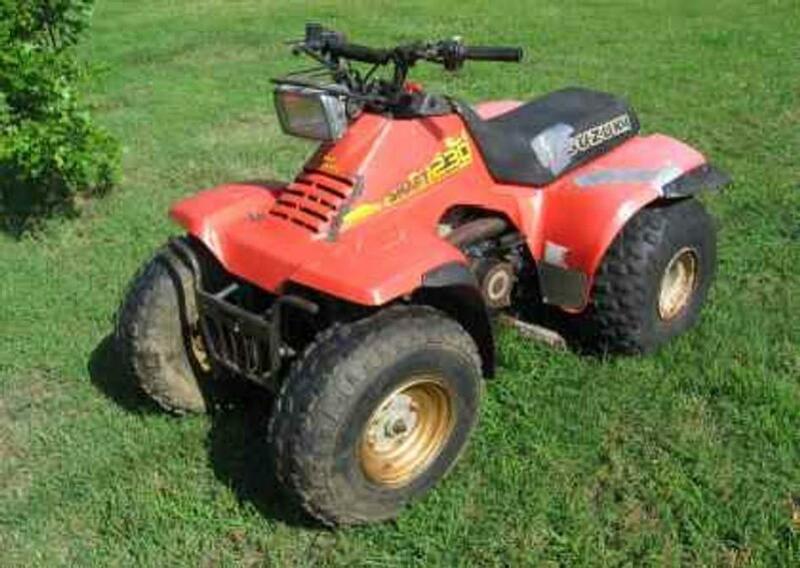 If you have a junk quad that looks outdated and old, that may be a good entry to some members. Won't matter any how. Probably change the rules like they did for the X-mas themed contest any how. Voting will begin shortly, good luck! 86 Honda 200 trx needs replacement engine.